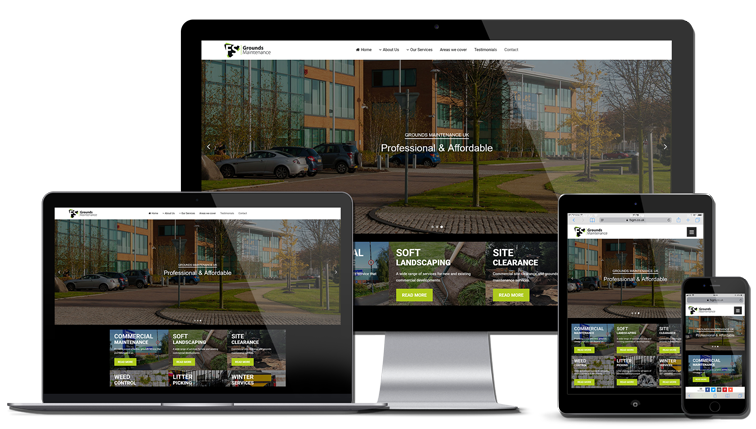 Fully Managed Websites for Local Business and Startups from only £30 per month. Affordable and effective local Small Business Website Design that gets you noticed! Whether you need a local business website or local tradesman website design – we can help you gain the web design results you always wanted. PC Web Skills not required! With our ‘No Jargon’ Guarantee, we make the whole process of developing and managing your very own small business website plain and simple. With low cost, affordable pricing, we can design, host and manage your professional tailored small business pay monthly website so you don’t have to! Choosing the best UK web design company or web designer can be a challenge. That’s why we developed a flexible and helpful web design process that is simple, clear, and fast. Our clients are important to us and we make every effort to help you with your new exciting pay monthly small business website. We love to help small businesses grow online! If you’re a start-up, local business or tradesman that hasn’t yet moved online, then don’t panic – we’re here to help! If you already have a website, but you feel that it’s just not working or it looks a bit old and tired, then we can give you the best advice to get things moving again! Seriously, we don’t bite! We understand that ‘the internet’ makes things sound more complicated than they really are, so get in touch today and we can chat through your requirements – in plain English! Affordable Brochure Web Design for Local Businesses and Tradesmen. Haven’t the time or skills to look after your website? Let us Manage it for you! Local Search Engine Optimisation and Marketing. Get Found Online! You don’t have to spend time learning how to use any complicated software, learn how to code or edit DNS, or even risk making any costly mistakes when trying to update your website – we do it all for you! Get found online! All our small business website designs are already built with Local SEO in mind. This gives your business the best start it can have when entering the online world. We register your domain and host your website for you - all renewals are included in your package and the technical element is managed by us. Your website is hosted on our super fast and secure bespoke environment. We’ve kept this really simple… if you would like any changes, additions, alterations to your website, just email your requests to info@hungrywolf.co.uk and they will be promptly dealt with. Your NEW small business website will work on desktop, tablet and mobile devices. You cannot afford to miss out on being found by potential customers, so we ensure your website works on all devices. From the moment you sign up with hungrywolf®, you can rely on working with dedicated support that cares. Whether you need help or advice, you can contact us at any time and we will en-devour to do our very best for you. "The SEO is excellent and the website brings me several leads a week during my busy periods." "Their in-depth knowledge of web design made me feel in safe hands." "Updates are done promptly and nothing is too much trouble."